The Oklahoma City Thunder (32-18) came into Amway Center on Tuesday and beat the Orlando Magic (20-31) 126-117. The Magic actually started the game with some spirit and a 28-5 run in the opening quarter. Then Paul George heated up and played as if unconscious as he drilled the boys in blue for 31 points in the first half. Thunder superstar Russell Westbrook had a relatively quiet first half, scoring eight points with 4 assists, and kind of cruising as he watched George handle the scoring. Westbrook’s intensity increased as the game moved on, ending with a triple double of 23 points, 14 assists and 14 rebounds. 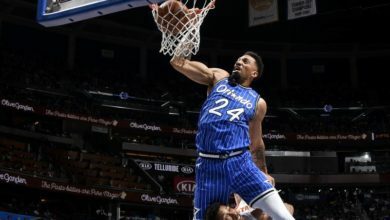 The Magic had the usual herculean effete from Nikola Vucevic show had 27 points and 11 rebounds, as well as dole digit contributions from Terrance Ross, (16 pts), Evan Fournier (17 pts. ), and Aaron Gordon (16 pts). But the story of the Magic this season is of playing well and even better than opponents and then not holding on to leads. Even though Paul George had a great nigh, the Magic were in no way being blown out. 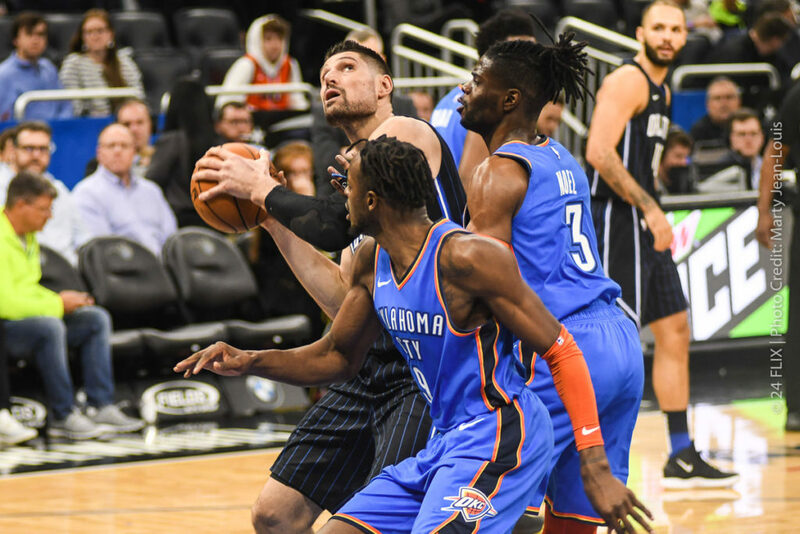 Orlando managed a 28-5 run in the third quarter to grab the lead, but all that did was intensify their frustration after they were no match for George, Westbrook plus Dennis Schroder in the fourth quarter. 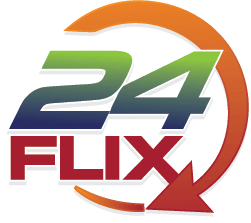 Schroder scored 18 of his 21 points — including two 3-pointers and a pair of three-point plays — in a stretch when he hit seven consecutive shots. 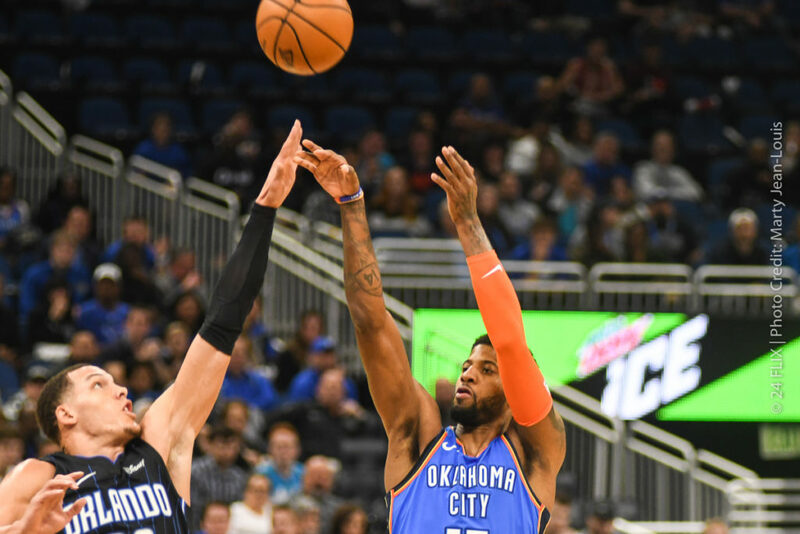 He outscored Orlando 18-8 by himself during that spurt, helping the Thunder rally from a five-point deficit to a 13-point lead in the process. 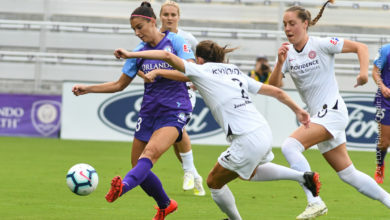 Orlando lost for a fourth straight time and a seventh time in the past eight games. 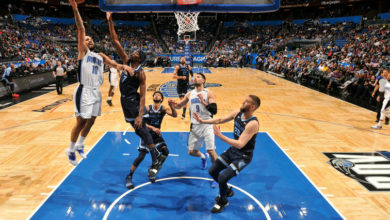 Magic head coach Steve Clifford thought the team regressed on Tuesday in the way they play. The Magic came into Tuesday 4 ½ games back of the No. 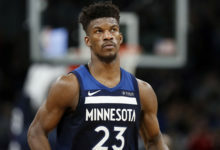 8 seed and, according to BasketballReference.com, they possessed a slim 4.5 percent chance of making the playoffs. 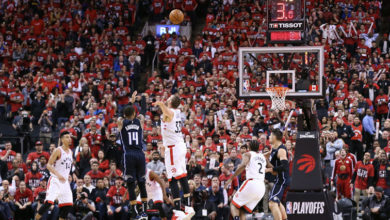 That was the 11th best total in the Eastern Conference, significantly behind that of the eighth-seeded Miami Heat (74.3 percent), No. 9 Detroit Pistons (28 percent) and No. 10 Washington (17.9 percent). The Magic next face the Indiana Pacers on Thursday night at Amway Center. The Pacers lost to the Washington Wizards 107-89last night in Washington and are playing the Magic for the first time since losing former Magic guard Victor Oladipo.